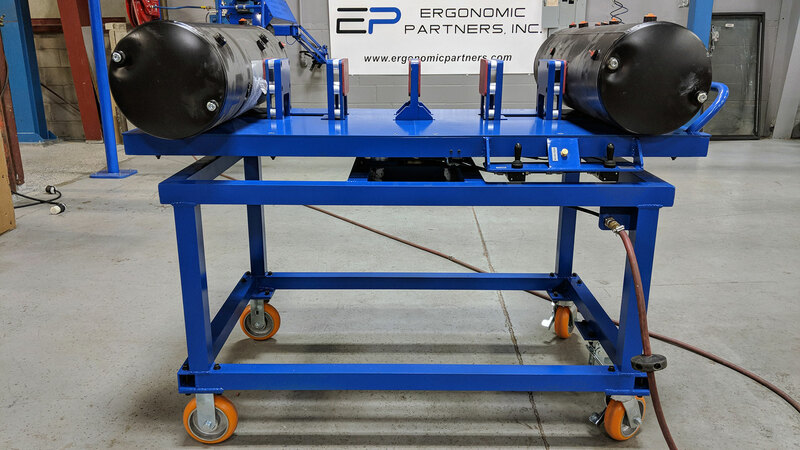 Ergonomic Partners built this custom portable rotating turntable for gripping cylinder tanks. The table features: foot floor lock, swivel casters with brakes, 360 degree rotating table top with 360 degree detent, pneumatic turntable lock, and pneumatic powered cylinder tank grippers. 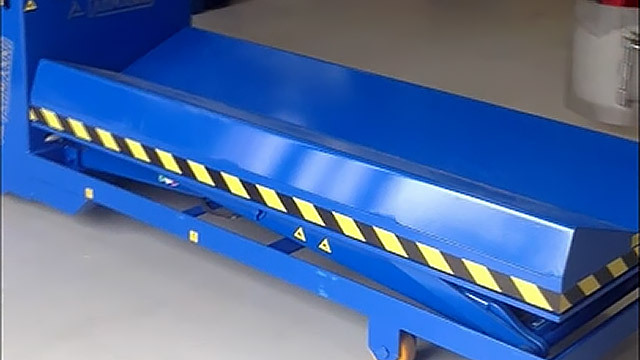 This fully powered portable roll lifter is ideal for loading or unloading large rolls from a machine or pallets. The unit features a hydraulic side shift and mast tilt that allows loading of heavy rolls quick and easy. Our in-house team of engineers' custom designed and built this unique tool arm for grinding tall parts. Features include: A one-of-a-kind sleeve bearing for 3-axis / 360° rotation, articulating arm with 50 inches of vertical travel, and portable base with locking casters. The Lift'n Buddy features a powered adjustable height platform that positions loads at a comfortable height. 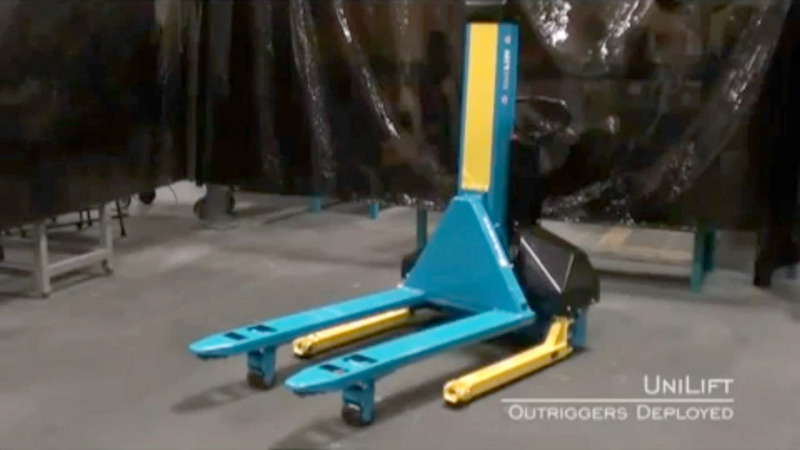 This prevents the operator from bending and stretching when loading, unloading or moving items from one level to another. 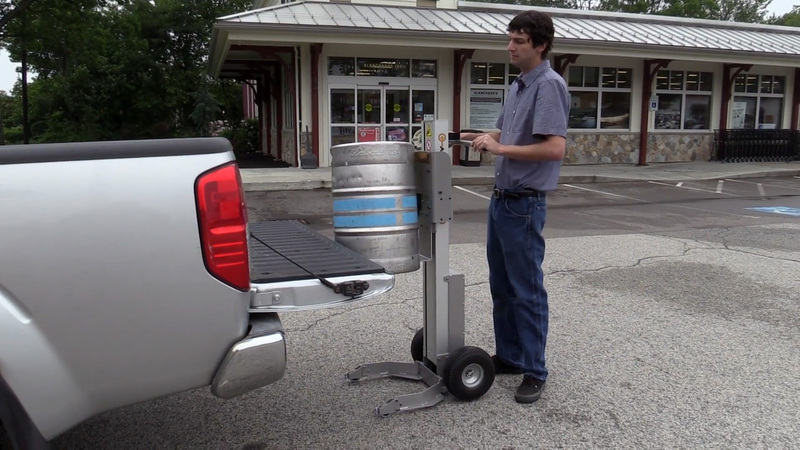 The Keg Lifter can lift a wide range of keg sizes and can turn on a dime due to its unique 4-wheel and caster design. Ideal for Liquor Stores, Restaurants, Clubs, Micro-Breweries, Catering Services, Stadiums and many more. 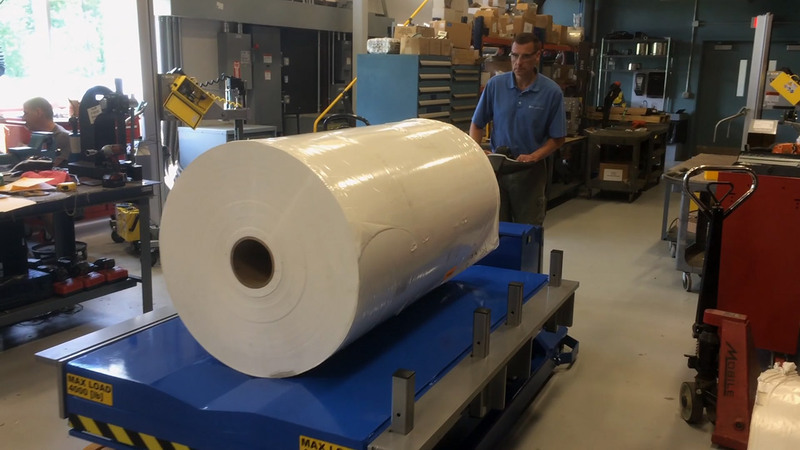 This fully powered lift table was custom designed and built for extremely large and heavy paper rolls. 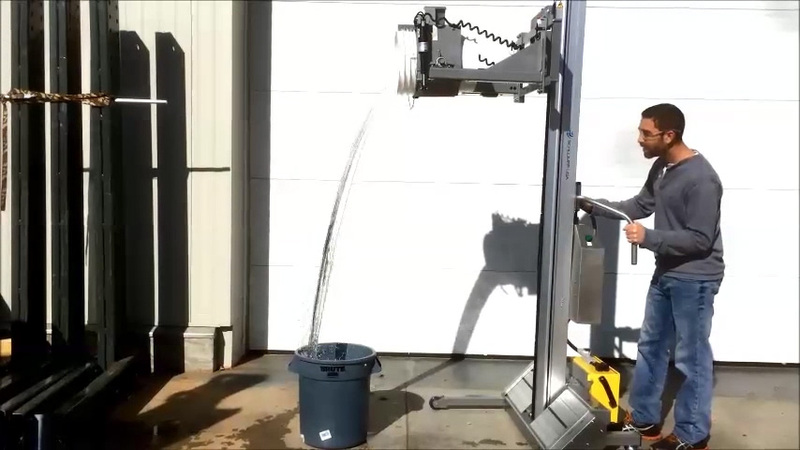 The battery powered portable lifter, lifts and pitches 5-gallon buckets. 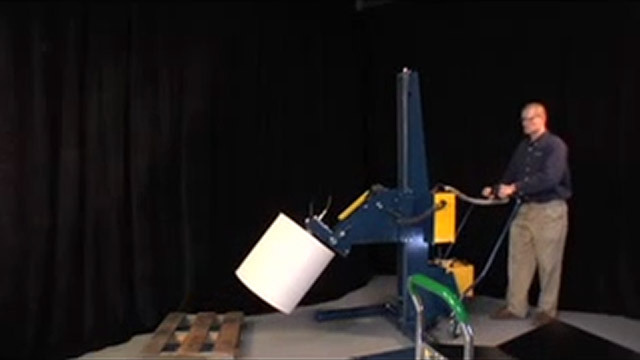 The pitching movement allows the lifting device to pour out the buckets' contents. 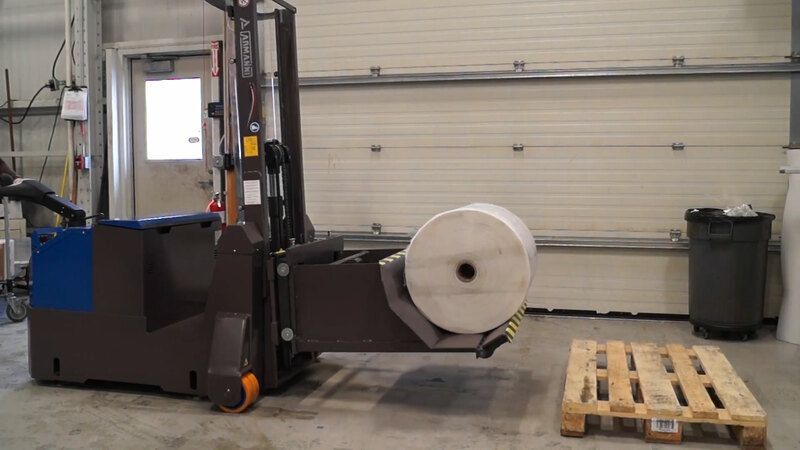 This portable ergonomic roll lift is designed with a roll pusher to allow the operator to set product on a spindle when the elevations are over their head. This portable lifting device is constructed from lightweight aluminum and grips and rotates rolls weighing up to 400 pounds. 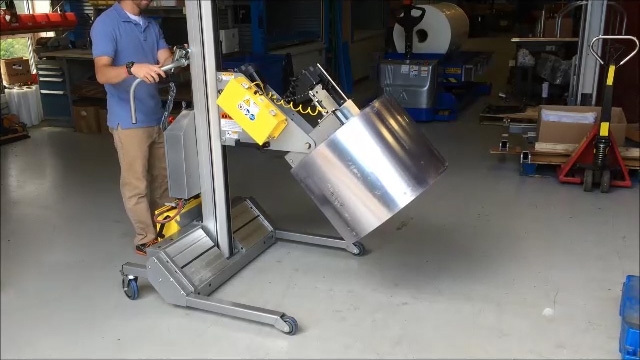 Powered Portable Roll Lifter with Hydraulic Grip and Rotate for large OD rolls. This portable compact ergonomic lifter can have the mast carriage customized with a variety of end effectors for handling different lifting applications. Available in 220 lb., 450 lb., and 600 lb. load capacities. 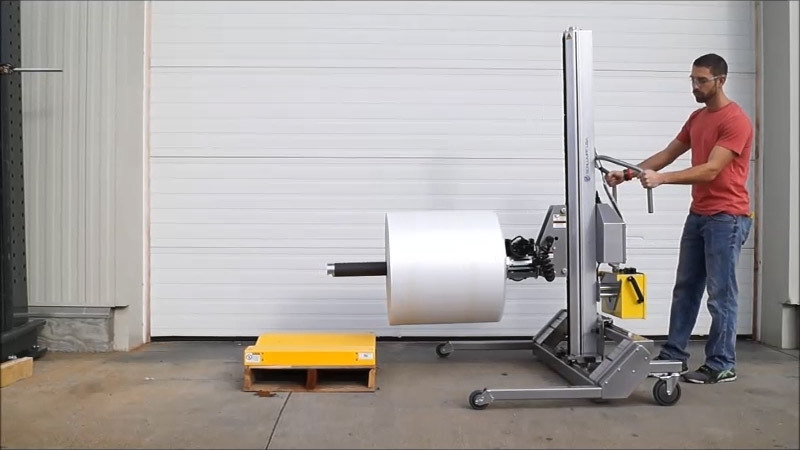 Powered portable roll lifter that can lift and rotate rolls weighing up to 1,500 pounds. 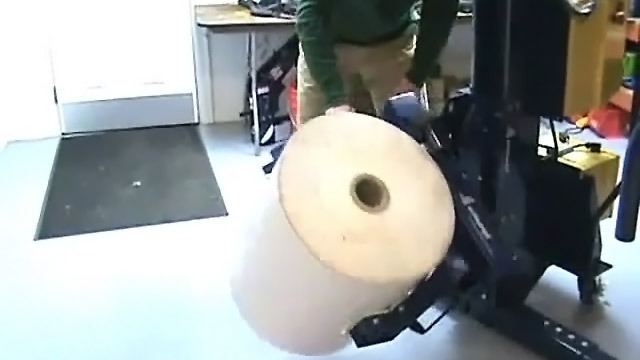 Need to lift, huge 1-Ton Rolls? 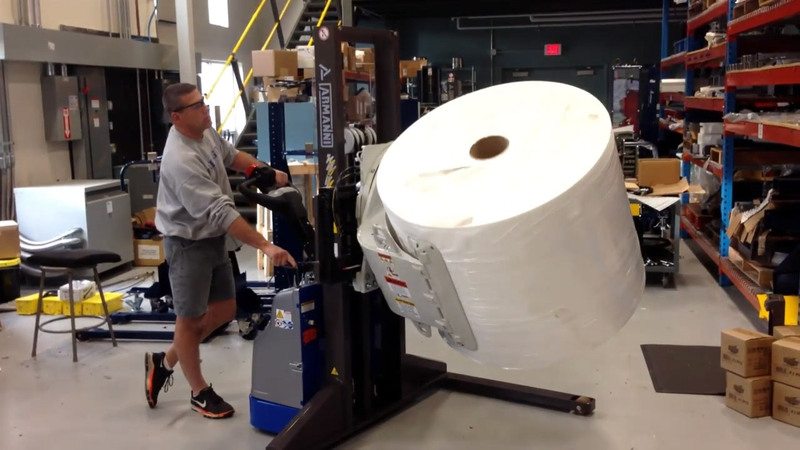 This portable electric roll handler is the ideal solution. This portable roll handling lifting device has a built in "side-shift" feature that allows the rolls to be positioned from side to side. Additionally, this portable lifting device has electrical powered lift and roll pusher. This custom machine lifts, grips and pivots multiple diameter metal rods or shafts on a portable battery powered system. The portable device has a pivot feature allowing 45 degrees of horizontal movement. The operator controls have high or low speed vertical travel and a common safety release button. 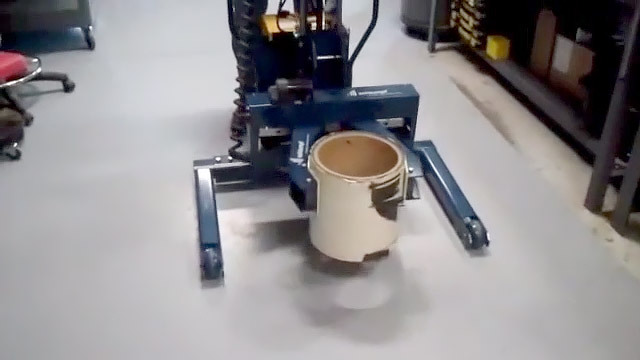 Need to lift, rotate and move rolls by the outside diameter? 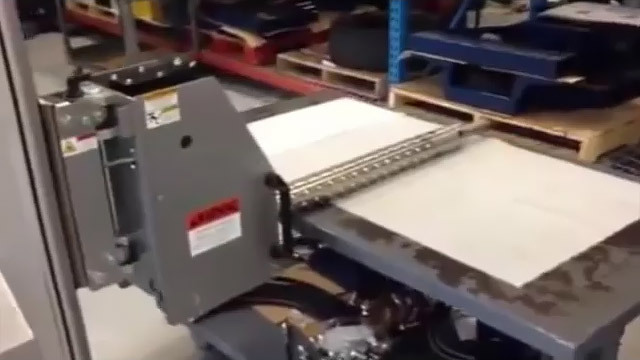 This electric portable roll handler is the ideal solution. This custom mobile lifter has an all aluminum structure and has an electric battery powered ID gripper that lifts and turns rolls. 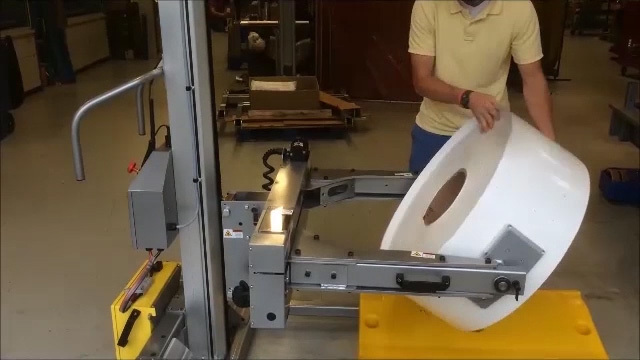 This custom portable lifting device grabs, lifts and rotates rolls. 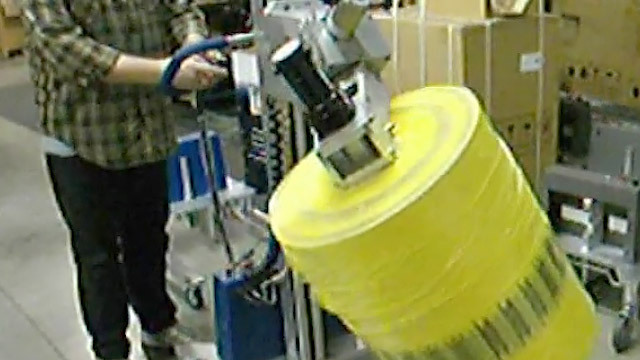 The legs of the device are wide to straddle pallets and skids for roll pick and place applications. 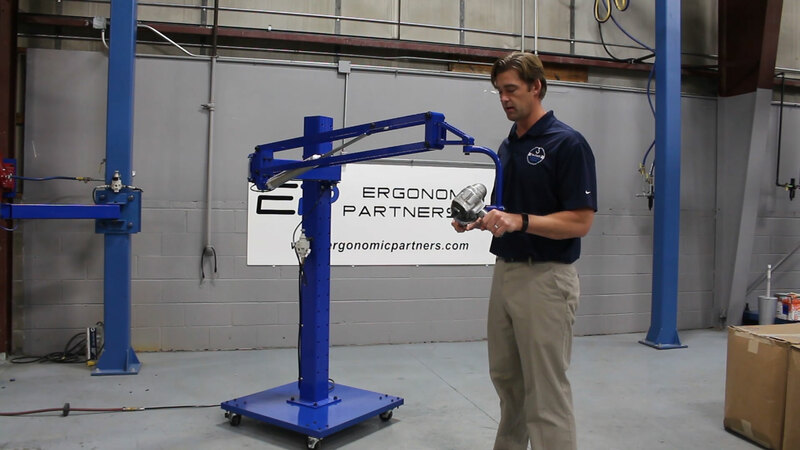 Ergonomic Partners supplies portable lifting devices for rolls, glass, drum and tote handling. 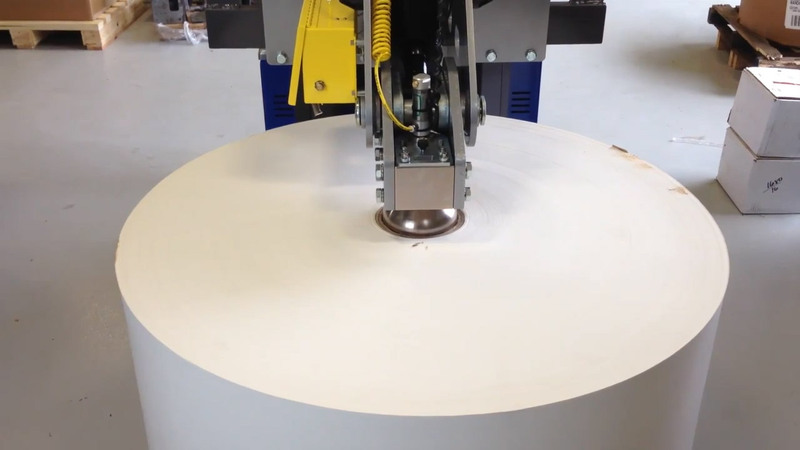 These devices can transfer rolls over long distances and can pitch or rotate the rolls. Safely lift, turn and transport rolls by the core, this lifting device has a simple mechanical lifting, turning, and pivoting functions. Ideal for pick and place lifting applications. 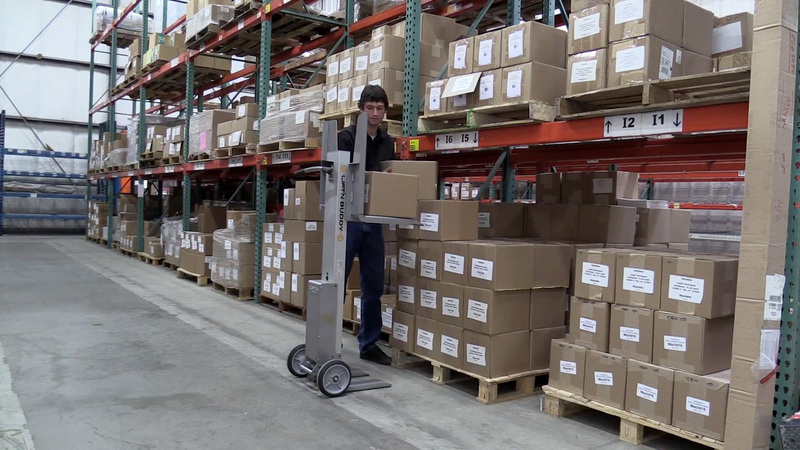 The Bishamon UniLift electric stacker is a one of a kind dual-purpose product that can transport and load position standard GMA closed bottom pallets or skids.